My seven-year-old daughter Madeleine is learning about weights and measures at school. What better way to practise by weighing out the ingredients for jam thumbprint biscuits? 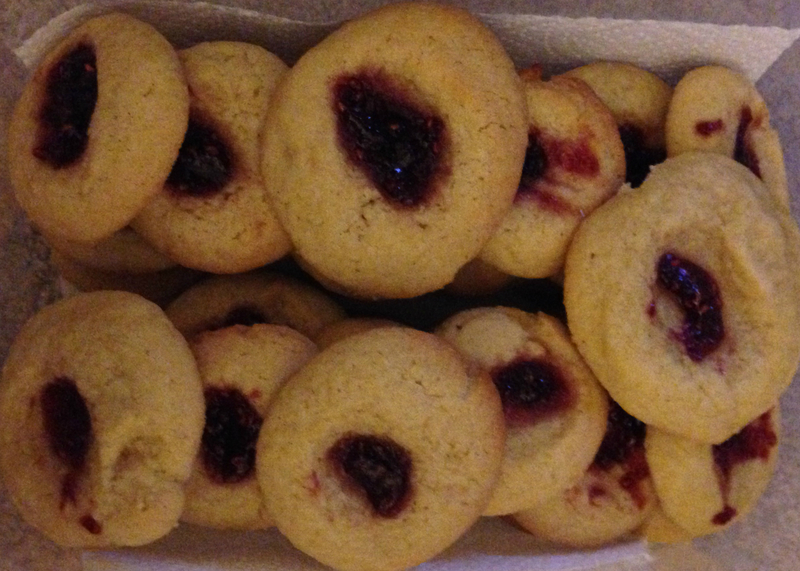 All 29 of these biscuits went off to school today – sadly there weren’t enough for us to do a little taste test! The recipe for these little bites of yumminess came from Betty Magazine – why not give them a try?